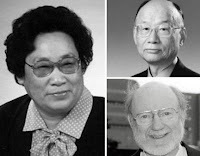 Nobel Prize Medicine Winner 2015: William Campbell, Satoshi Omura and Youyou Tu jointly won the 2015 Nobel prize for medicine or physiology for their work against parasitic diseases, the award-giving body said. Medicine is the first of the Nobel prizes awarded each year. Prizes for achievements in science, literature and peace were first awarded in 1901 in accordance with the will of dynamite inventor and businessman Alfred Nobel. Diseases caused by parasites have plagued humankind for millennia and constitute a major global health problem. In particular, parasitic diseases affect the world's poorest populations and represent a huge barrier to improving human health and wellbeing. This year's Nobel Laureates have developed therapies that have revolutionized the treatment of some of the most devastating parasitic diseases. William C. Campbell and Satoshi Ōmura discovered a new drug, Avermectin, the derivatives of which have radically lowered the incidence of River Blindness and Lymphatic Filariasis, as well as showing efficacy against an expanding number of other parasitic diseases. Youyou Tu discovered Artemisinin, a drug that has significantly reduced the mortality rates for patients suffering from Malaria. These two discoveries have provided humankind with powerful new means to combat these debilitating diseases that affect hundreds of millions of people annually. The consequences in terms of improved human health and reduced suffering are immeasurable.